Art is the real luxury in life. A natural consequence is to bring art to where luxury is in Shanghai and to combine these components through creativity. Where can this blend of luxury, art and creativity be better expressed than in the Swatch Art Peace Hotel on the Bund? A historic luxury hotel to host an artist residential community. An artist residency of a unique kind. Different forms of art are welcome to explore the contemporary arts in China's most vibrant city: photography, music, filmmaking, writing, dancing, painting and conceptual art. To apply register first by creating an account on Swatch's website at swatch-art-peace-hotel.com/apply, then log in on the website and apply by filling in all the sections in English. The jury is looking for individual and personal motivation, a clear explanation of what makes you different from other candidates and details on your planned work in Shanghai. An application fee in the form of a 30 CHF donation to Médecins Sans Frontières is required. The process can take 4-8 weeks for review and applicants will be notified by email. Each application is reviewed by an international committee whose efforts ensure that a broad range of artistic disciplines, styles and national origins is represented. The selection process aims to integrate artists in a spirit of openness and curiosity about creativity in its diverse forms and contexts. At present, the members of the Artist Selection Committee are: Nayla Hayek, Chair of the Board of Directors, Swatch Group; Nick Hayek, CEO, Swatch Group; Esther Grether, Board Member, Swatch Group; George Clooney, Actor; François-Henri Pinault, Chairman and CEO, PPR; Mikhail Kusnirovich, Russian Entrepreneur and Chairman of the Strategic Development Committee of the Department Store GUM; Sir Francis Yeoh, Chairman of YTL Group. Shanghai is one of the world's most exciting places for contemporary art and the artists who create it. Ateliers, theaters, galleries and museums light up, transforming the city into an avant-garde experiment in imagining the future. Artists are provided with individual accommodation and working space in modern, furnished studios located on the 2nd and 3rd floors of the Swatch Art Peace Hotel in Shanghai. The studios are assigned according to need and availability for a period ranging from three to six months. – Each artist is assigned a numbered cupboard and fridge space in the 3rd floor kitchen area which is equipped with induction plates, kitchenware and utensils at the artists’ disposal. – A lounge and coffee corner with tea and coffee making facilities are also at their disposal. – Artists have access to a library, a meeting room and several common workshops. High speed / wireless Internet access is provided. A Mac, PC and printer / copier are also available. – The studios are cleaned twice a week by the Swatch Art Peace Hotel housekeeping staff. – A daily European breakfast is served from 7.00 to 11.00 a.m. in the common area on the 3rd floor. – Each artist will receive a set of visiting cards bearing his / her name and the Swatch Art Peace Hotel address and telephone number. – The Swatch Art Peace Hotel team will assist artists by providing local information and contact details. – The Swatch Art Peace Hotel’s Swissnex contacts will assist artists in finding the material required for their work. Artists will also be provided with support enabling them to establish and develop contacts with Shanghai’s art scene. - Pick-up service in Shanghai on day of arrival and departure will also be provided. - Individual accommodation at the Swatch Art Peace Hotel. - Working space in modern, furnished studios located on the 2nd and 3rd floors of the Swatch Art Peace Hotel in Shanghai. Please note that there is no stipend. Guest artists should be able to provide for their personal and professional needs for the duration of their stay. – Coverage of costs charged by airline companies for excess baggage. – Costs related to the removal and transport of artwork and material from the Swatch Art Peace Hotel or costs for storage of artwork and material awaiting removal. – Any flight or travel costs other than the round trip flight or train ticket to and from Shanghai provided initially. – Drinks and meals other than breakfast. – Material for artists’ work. – Other personal and professional expenses. 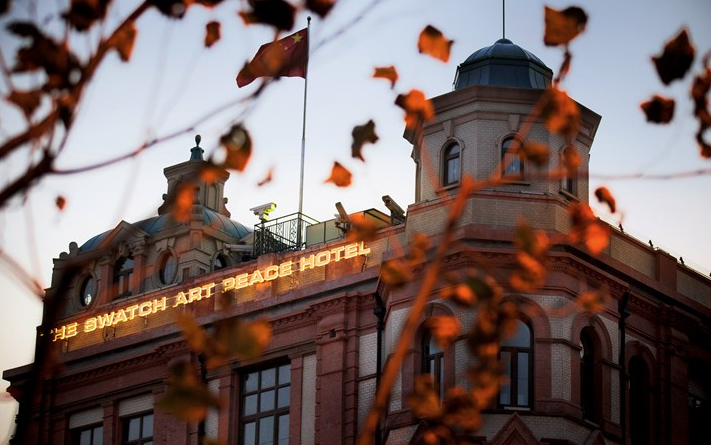 A broad range of contemporary art is at the very heart of the Swatch Art Peace Hotel. Its Artist Residency welcomes known and unknown artists from around the world, including China, to live and work in artist studios on the hotel premises for periods of three up to six months in one of the 18 studios. They meet to exchange ideas, prepare and enjoy meals together, talk about their work and life in Shanghai, plan new projects and share their visions. The artists are accommodated in the Hotel at the invitation of Swatch Group, which for its part asks only that they leave a “trace” of their visit. Ideally, this trace should be representative of the artist’s experience at the Swatch Art Peace Hotel. However, it is up to each artist to determine just what constitutes “a trace”, and what form it should take. Artists will be given an opportunity to have their "trace" presented in the Virtual Museum of the Swatch Art Peace Hotel's website. The Swatch Art Peace Hotel Artist Residency aims to contribute in a significant manner to the cultural and artistic development of Shanghai. 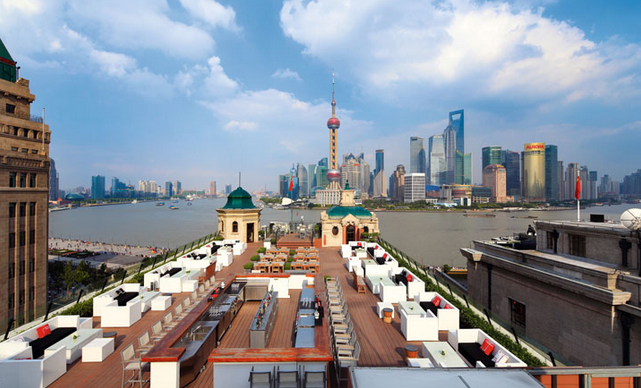 Artists will benefit from their exposure to an international public at the most prestigious location in Shanghai, and it is hoped the new art hotel and artist residency will serve as an open door to the world, a permanent invitation to engage in cultural exchange.